Euroscepticism within the Conservative Party has been growing steadily since the Maastricth Rebellion of 1993. And yet the lessons of those turbulent months have yet to be learned properly. This book sets out clearly the reasons why some MPs rebelled and others did not - and points the way to the future. In 1993 the Maastricht Rebellion tore apart John Major’s Conservative Government. An ever-shifting group of Eurosceptic rebels consumed hours of Parliamentary time, derailed legislation and brought the government to the brink of collapse. Major denounced the rebels as the 'Dispossessed', the 'Never-Possessed' and the 'Bastards'. This paper rebuts the myths about the Maastricht rebels. With Prime Minister Cameron's proposed renegotiation and referendum on EU membership set to take place in 2017 recognising the factors affecting MPs' willingness to defy the party line is vital. Should Cameron secure re-election at the head of a minority or slim-majority government, the ensuing Europe debate within the Conservative Party is likely to be even more divisive than Maastricht. Understanding MPs' behaviour on Europe will allow the pro-withdrawal faction to assess the optimum methods of convincing MPs to side with them, as well as how to counter the Europhile faction's attempts to poach their followers. The purpose of this work is therefore to act as a case study for newer Eurosceptic MPs to study. 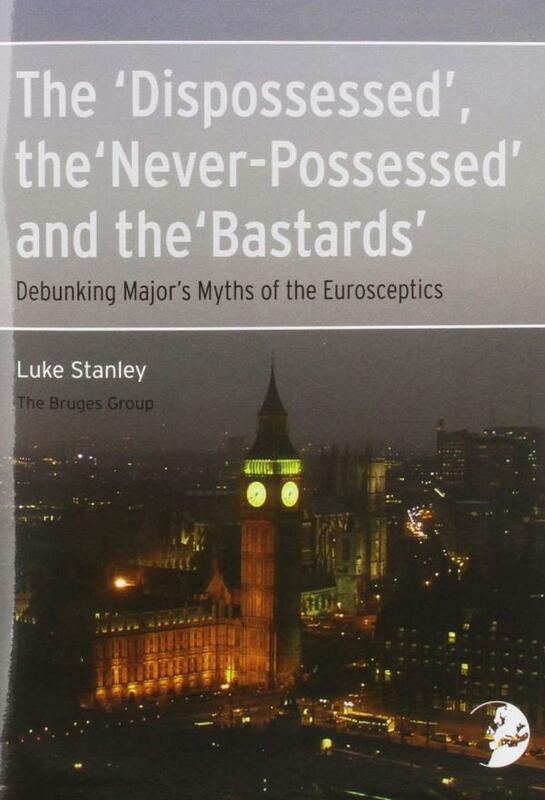 Luke Stanley graduated in 2014 with a BA in History from the University of Leicester, having won the Professor W. H. Brock Prize for the best history dissertation that year. He is the author of the Bruges Group papers Forever Closer Union and A European Supra-National Identity. Since graduating, Luke works as a researcher at the Get Britain Out campaign.